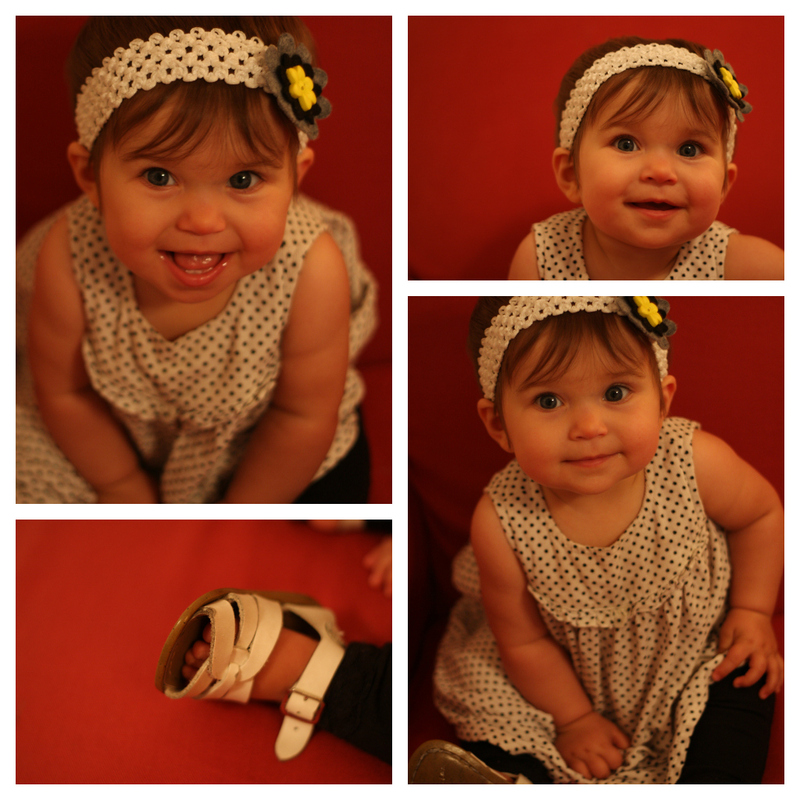 This really is just an excuse to post pictures of my oh-so-adorable baby girl. I really do like her outfit though. Its cute and not too babyish. You made the headband and clip!? So cool! And yup, she's a doll. I just sewed the elastic together to make the headband. But for the flower clip, I used a friend's scrapbooking cutter to cut the felt flowers and then hot glued them together. So easy and I was really happy with the results. Thanks! I actually bought a pre made design. I decided I wanted something simple that looked good and decided it would be a better value if I just paid for it rather than doing it myself.